Leading passive and low energy building contractor Bow Tie Construction is looking to recruit site supervisors and builders in the Dorset and Hampshire areas. Leading passive house contractor Bow Tie and build system provider Beattie Passive have begun collaboration on a series of passive house projects in London and surrounding areas, with Bow Tie recently supplying labour for the erection of a three storey Beattie Passive house in Clapham, South London. 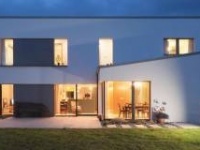 Low energy builders Bow Tie Construction have joined up with Loxone Smart Home to become silver partners, enabling Bow Tie to design Loxone systems and install the company’s home automation products. The first delivery of the QualiBuild Foundation Energy Skills training will start later this month, and the course is open to all building construction workers to apply. Saint Gobain, the global building materials supplier, has announced that it will donate €100,000 to the Peter McVerry Trust. The money will be used to refurbish six apartments in a disused building on Pim Street in Dublin 8. The project will be complete by February 2015. Nearly a third of construction professionals did not know about the nearly-zero energy requirement for all new buildings by the year 2020, according to a survey of Passive House Plus readers. 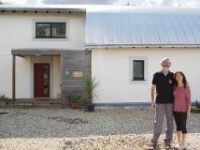 In this blog post, Paul Doran recalls the challenges and lessons of building a low energy home on a tight budget for his family. The number of certified passive house designers and consultants has passed the 4,000 mark globally, after the latest round of exams were held in more than 30 countries across Europe, North America and Asia. Last week's Better Building conference in Dublin heard from experts speaker on the present and future of the construction industry in Ireland. Topics at this year’s conference pushed the building industry to think beyond energy efficiency and consider full life cycle costs of materials, transportation issues, and living buildings. The Passive House Institute has announced the finalists for this year’s Passive House Award. The winners, across six categories, will be announced on 25 April at the International Passive House Conference in Aachen, Germany. 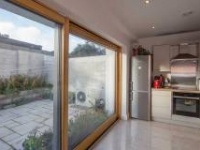 The UK’s Passivhaus Trust will hold a conference on large scale passive house developments on 30 April in Glasgow. The International Passive House Days, during which passive buildings around the world open their doors to the public, took place this year from November 8-10. This year marked the 10th anniversary of the event. Irish construction sector set for stimulus? The Irish Independent reported earlier in the week that the Irish construction sector is set for a stimulus package in next week's budget, including a cut to the 13.5% rate of Vat. Architect Michael Green says that by building timber skyscrapers, we can meet global housing demand without increasing carbon emissions. Check out his TED talk below. Check out this video from Saint Gobain on their technical academy in Kingscourt, Co Cavan. The academy showcases the company's products and provides training in their application. The company said that video is designed to provide an insight into the kind of courses that are available — most of which are free, and contain a mix of theory and hands-on training. Saint Gobain's brands included Isover, Gyproc and Weber. 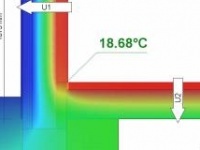 Joseph Little and Calina Ferraro of Building Life Consultancy, and Manfred Kehrer of the Fraunhofer Institute of Building Physics will deliver a two day workshop on Wufi Pro hygrothermal simulation software in Dublin on 15 and 16 September. This workshop will teach attendees to use Fraunhofer’s Wufi Pro software for simulating heat and moisture transfer through building fabric for the purpose of assessing risk and preventing interstitial condensation. The focus of the workshop will be on the practical application of the software.